The Current welcomes letters to the editor on its coverage and local issues. Submissions are selected by the editor to provide a variety of opinions and voices, and all are subject to editing for accuracy, clarity and length. We ask that writers remain civil and avoid personal attacks. 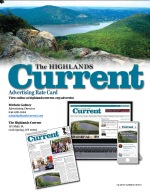 Letters may be emailed to editor@highlandscurrent.org or mailed to Editor, The Highlands Current, 161 Main St., Cold Spring, NY 10516. The writer’s full name, village or city, and email or phone number must be included, but only the name and village or city will be published. The Current welcomes comments on its coverage and local issues, whether posted at highlandscurrent.org or Facebook. Submissions are selected by the editor to provide a variety of opinions and voices, and all are subject to editing for accuracy, clarity and length. We ask that writers remain civil and avoid personal attacks. Submissions must include your first and last name (no pseudonyms), as well as a valid email address. Please allow up to 24 hours for an approved submission to be posted. All online comments may also appear in print. If you spot an error, please email Managing Editor Chip Rowe at editor@highlandscurrent.org. The Current considers the deaths of residents to be news items. We post obituaries online and sometimes in print only after editing to fit a standard format. The information that appears in obituaries is typically provided by the funeral home or family. There is no charge to submit information for an obituary. Families who wish to say more than our standard news format and place a death notice in the print paper may do so at a 20 percent discount on our standard advertising rates. If you need assistance writing an obituary, visit this online tool offered by Legacy.com. We do not remove names from the police blotter, which are provided to us by police departments. However, the pages are coded so they are indexed only on our site and not in outside search engines such as Google. If charges were dismissed or reduced, or if the person was acquitted, we will add a note to the entry after verification (which will be quicker if the person provides documentation or legal contact information). Email editor@highlandscurrent.org.